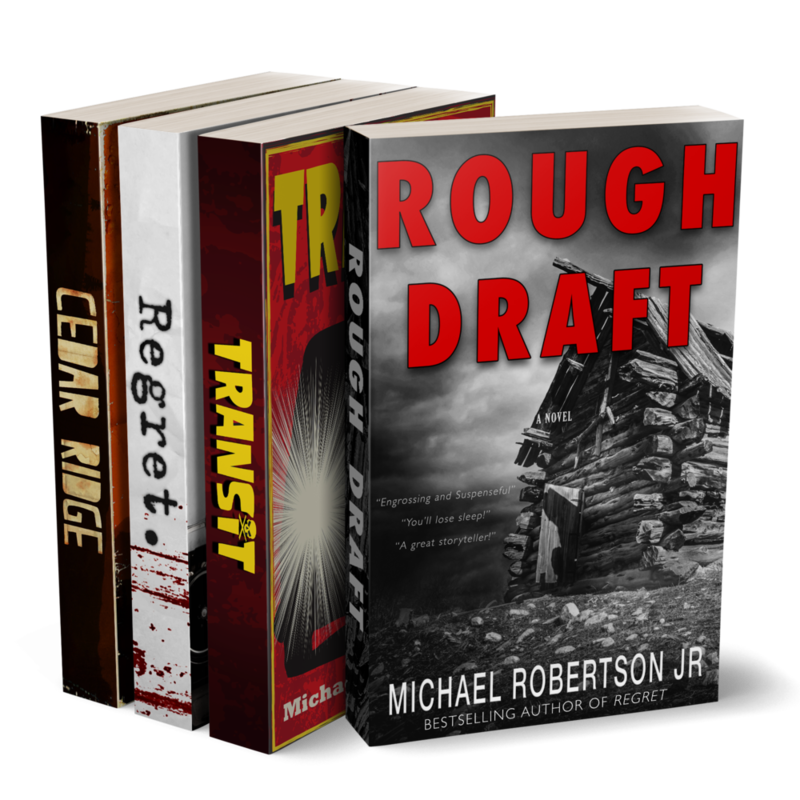 RoughDraft — Michael Robertson Jr.
an amazon #1 horror bestseller! Three strangers. An abandoned cabin in the woods. And a chilling one hundred year-old mystery that doesn't want to be solved. When three of the world's most prominent horror writers are viciously blackmailed, they are left with no choice but to abandon their comfortable lifestyles and take up seclusion in a tiny cabin in the mountains of Colorado, just on the outskirts of a mysteriously deserted mining town. As the three trapped writers work together, struggling to understand and meet the demands of their blackmailers, they soon realize that they aren't alone. Aside from the raging blizzard, there's something else out there in the woods with them. Something that doesn't like visitors. And soon these masters of the macabre are caught right in the middle of their own very real horror story. One in which they might not survive to the end.